That may be what the government is doing with the credit rating agencies if Tyler Durden is right in this post he wrote at Zero Hedge. Early in the 4th century, Emperor Diocletian issued an infamous decree to control spiraling wages and prices in the rapidly deteriorating Roman Empire. For years, major rating agencies (S&P, Moody’s, and Fitch) have championed the outright fraud of our financial system by pinning pristine credit ratings on insolvent governments and their heavily inflated currencies. In doing so, the rating agencies are effectively claiming that the greatest debtor that has ever existed in the history of the world is nearly ‘risk-free’. Clearly this is a ridiculous assertion. With a debt level over 100% of GDP, the US is so broke that the government must borrow money just to pay interest on the money it’s already borrowed. They’ve lost over a trillion dollars a year since 2008, yet they still spend money on things like drones and body scanners. It’s crazy. As with any good scam, the government must maintain public confidence. The moment someone says ‘the Emperor has no clothes,’ that shallow, fragile confidence will come crashing down and expose the scam. Dissent must be vigorously and swiftly pursued. So when S&P finally downgraded the US one notch in August 2011, the SEC and Justice Department announced that S&P was under investigation, just two weeks later. Egan-Jones, a smaller rating agency, has been even more aggressive, downgrading the US credit rating three times in 18 months. And while the federal government may not have imposed Diocletian’s death penalty, they are just as willing to squash dissent. In a country that churns out thousands of pages of new regulations each week, it’s easy to find a reason to go after someone. As you read this letter, in fact, you are probably in violation of at least a dozen regulatory offenses. In the case of Egan-Jones, the SEC brought administrative action against the agency within two weeks of their second downgrade. And a few days ago, the case was settled. I’m sure you have already guessed the ending: Egan-Jones is banned from for the next 18 months from rating US government debt. They’ve effectively been silenced from telling the truth. The lesson here is obvious. Just as in Roman times, bankrupt nations today will stop at nothing to keep up the scam just a little bit longer. Given that all this is happening at a time when Congress is voting to suspend the debt ceiling entirely, these actions are the clearest sign yet of just how desperate the government has become. Could the warning signs be any more obvious? His knowledge of ancient history is a little off. The Roman Empire lasted another one hundred seventy years in the west and more than a thousand years in the east, so Diocletian’s reign hardly marked a terminal decline of the Empire. 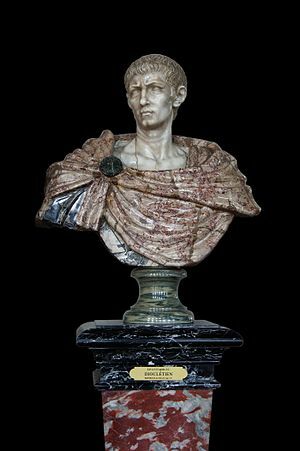 It is easy for us to consider Diocletian as a sort of villain or tyrant because of the harshness of some of his actions and the fact that he enlarged the Roman government and made it more autocratic. In fact, Diocletian ended the crisis of the third century with its continuing civil wars between short-lived emperors and the near total collapse of the Roman economy. Diocletian saw that the old system of pretending that Rome was still a republic and the Emperor just another citizen made it too easy for emperors to be overthrown. Although some of his reforms, like the Edict of Maximum Prices, were ill-advised, Diocletian did manage to stabilize the economy, in part by reverting to barter. He defeated Rome’s enemies and secured the borders. He also devised a system of regular succession for Emperors in order to prevent future civil wars. The plan was ignored by his successors, but he can hardly be blamed for that. Tyler Durden is absolutely correct about our financial situation, though. We are in a lot of trouble, and no one seems to be willing to acknowledge the problem, much less try to solve it. We simply cannot continue to spend a trillion dollars more than we take in every single year. Contrary to what President Obama may think, we do have a spending problem, and a lot of it is his fault. We are heading off the cliff very fast and it won’t be pleasant when we crash. If you were expecting the Obama administration to take at least some of the blame for S&P’s downgrade of the federal government’s credit, you have a long wait. Instead they have decided to attack the messenger. Treasury Secretary Timothy Geithner slammed Standard & Poor’s on Sunday as showing “terrible judgement” in downgrading the US credit rating for the first time ever. “I think S&P has shown really terrible judgement and they’ve handled themselves poorly, and they have shown a stunning lack of knowledge about basic US fiscal budget math, and I think they came to exactly the wrong conclusion,” Geithner said in an interview with NBC News. He has a point. They did show poor judgement in only lowering the rating by one notch. If attacking Standard & Poors for being honest doesn’t work, they could try blaming the people who have been warning them and demanding fiscal sanity, the Tea Partiers. While continuing to cast doubt on the credibility of Standard & Poor’s, several Democrats on Sunday said there is an even greater culprit in the downgrade of the nation’s credit rating: the tea party. “I believe this is, without question, the tea party downgrade,” Sen. John F. Kerry, Massachusetts Democrat, said on NBC’s “Meet the Press” on Sunday, a day that also saw mounting anxieties in world markets over the downgrade among myriad other economic woes worldwide. Some of the world’s top financial ministers issued a joint statement Sunday night committing themselves to preserve the stability of financial markets and their economies. David Axelrod, a former senior adviser to President Obama, used the exact same phrase in dubbing the credit rating drop the “tea party downgrade,” as Democrats tried to position themselves as reasonable, pragmatic leaders and conservative Republicans as irresponsible ideologues who caused the downgrade by refusing to accept any new taxes. I wonder of the Journo-List has been resurrected to give the Democrats and the Media their talking points. Senator Lindsey Graham defended the Tea Party. Sen. Lindsey Graham, South Carolina Republican, defended the tea party and said that without the movement, trillions of dollars in spending cuts wouldn’t be possible. He’s absolutely right. 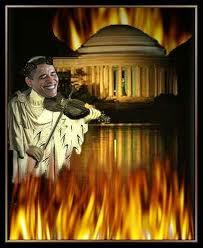 The Tea Party is not to blame for the mess we are in. The Tea Party formed because enough people around the country realized that things could not continue to go on as they have been in Washington. Meanwhile, Micheal Moore has some advice for Obama. Liberal firebrand Michael Moore called on President Obama to respond to the U.S. credit downgrade by arresting the leaders of the credit-ratings agencies. On his Twitter feed Monday, the Oscar-winning film director also blamed the 2008 economic collapse on Standard & Poor’s — apparently because it and other credit-ratings agencies did not downgrade mortgage-based bonds, which encouraged the housing bubble and let it spread throughout the economy. “Pres Obama, show some guts & arrest the CEO of Standard & Poors. These criminals brought down the economy in 2008& now they will do it again,” Mr. Moore wrote. I am sure that will work. Also, the stock market fell 634 points. I guess we should be getting ready for the second Great Depression. And on that note we have this from the Hill. The “limited magnitude” of both debt plans put forward by congressional leaders would not put the nation’s AAA credit rating back on solid footing, Moody’s Investors Service announced Friday. It added that “prolonged debt ceiling deliberations” have increased the odds of a downgrade, but that the firm is still confident policymakers will avoid a default. “It remains our expectation that the government will continue with timely debt service,” the firm said. It also clarified that as far as it is concerned, the nation will only default if it misses an interest or principal payment on U.S. debt, not if it misses payments on other obligations like federal employee salaries or Social Security benefits. The report also gives credence to a claim popular among Republicans: that the government has enough cash to avoid a default even past the Aug. 2 deadline set by the Treasury Department. Moody’s previously put the nation’s top credit rating on watch for a downgrade on July 13, as lawmakers continue to fight over a deal to raise the debt limit. While Moody’s is confident it will not have to downgrade the nation’s rating because of a default, it maintained that long-term debt and deficit problems will continue to weigh on the AAA mark. As Republicans and the White House fight over the length of a debt limit increase, Moody’s said it would not reaffirm the nation’s AAA rating unless there is at least a six-month boost to the debt limit. However, if the nation were to default for a short period of time, Moody’s said it would knock its credit rating down to AA, under the assumption that the default would be quickly rectified and investor losses would be minimized. However, in the “extremely unlikely” situation that investors do lose on Treasury investments, a lower rating could be given. Nobody in Washington is seriously trying to balance the budget. The Republicans are too timid. They are afraid to make anything more than nominal cuts that won’t even come close to being enough. The Democrats are oblivious. They are still trying to protect stupid stuff like cowboy poetry reading festivals from being cut. I am afraid that we are doomed.